A DETACHED three bedroom BUNGALOW located on the fringe of this sought after village and within an easy walking distance of the centre.Driveway Parking for numerous vehicles and garage, timber shed with power and gardens to the side and rear.Planning permission to extend if required. 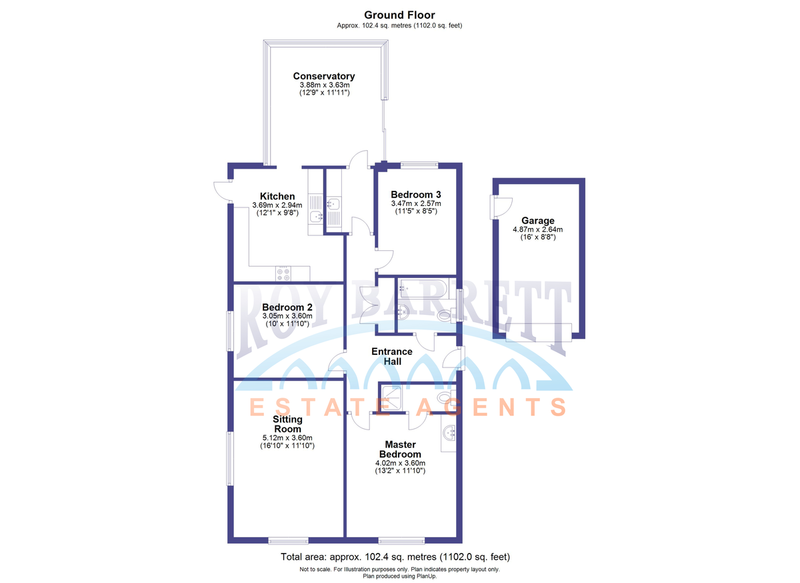 DESCRIPTION The property is a detached three bedroom bungalow built in brick and rendered elevations under a tiled roof located at the end of a close in this favoured village a short stroll away from the village centre. The property benefits from gas fired central heating, upvc windows and doors and a driveway which has parking for numerous vehicles/caravan or boat, a side garden and an enclosed rear garden. SITTING ROOM This room is a lovely light and airy yet cosy room which enjoys a dual aspect, two radiators, wall lights and a brick built fireplace with an open facility. KITCHEN Is fitted with a modern range of units including floor and wall mounted cupboards and drawer units, work tops with a stainless steel one and a half bowl sink and drainer unit, tiling to the splash back areas, space for an electric cooker with a brushed steel extractor hood above. CONSERVATORY which is a lovely bright triple aspect room with upvc French double opening doors that give access to the garden, wall lights and a tiled flooring with under floor heating. UTILITY ROOM with wall and floor mounted cupboards.Space and plumbing for a washing machine, space for a tumbe drier, stable door leads into the conservatory, cloaks hanging area, tiled flooring and a radiator. OUTSIDE The property is approached via a timber five bar gate onto a Cotswold stone driveway which provides parking for numerous vehicles and ideal for a caravan or boat. There is a garage with an up and over door to the front and a pedestrian door to the side. The rear garden can be accessed via both sides of the property and is mainly laid to lawn with a patio area, and enclosed by panel fencing. LOCATION CHILD OKEFORD a picturesque village nestled under Hambledon Hill and lying amongst the captivating landscape of the Blackmore Vale in the heart of the North Dorset countryside. The village is four miles from Sturminster Newton, Shaftesbury eight miles, six miles from Blandford Forum and Bourneumouth 25 miles. Child Okeford has a lot to offer visitors and residents with a range of amenities such as a Post Office, Shop, Two Inns, Doctors, Church & Primary School.